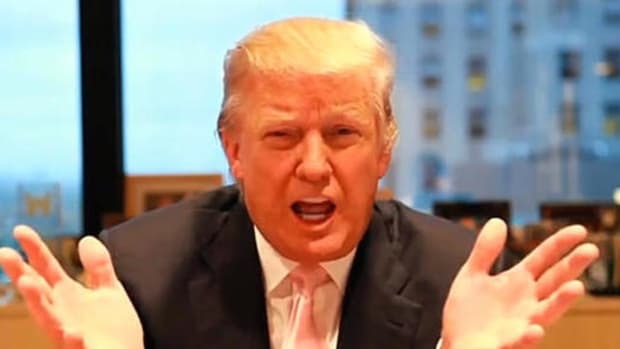 There are many competing theories as to why a madman like Donald Trump is running for president. But Ben Cohen argues that John McCain's 2008 bid for the White House paved the way for the emergence of Trump for one, very good reason. Editors note: This article was originally published on Banter M, our digital magazine for members. I&apos;m republishing it here in light of McCain&apos;s recent denouncement of Donald Trump and the withdrawal of his endorsement. 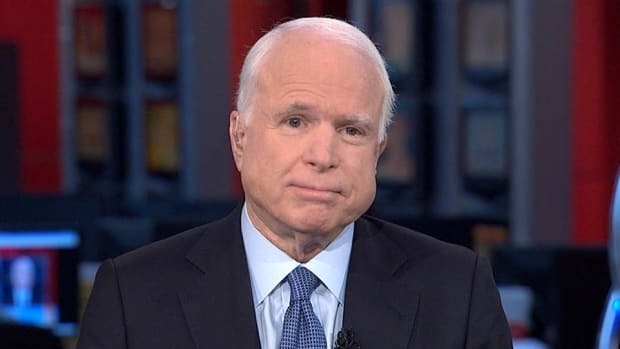 While McCain might think this exonerates him from the wretchedness of this presidential election, he doesn&apos;t get off that easily. In 2008, the Republicans running for president would be considered moderate in comparison to the Republicans who ran for president in 2016. While there were a couple of loons in the field that consisted of John McCain, Mitt Romney, Mike Huckabee, Ron Paul, Fred Thompson, Alan Keyes, Duncan Hunter and Rudy Giuliani, no one completely crazy made it through to the final three. And when you compare McCain, Romney and Huckabee to Donald Trump, Ted Cruz, and Ben Carson, the 2008 finalist look like far left Democrats. After 2008, it became open field for the Republican crazies, and the 2012 lineup was jam packed with the candidates who should have been receiving psychological care rather than running for president. With Herman Cain, Michele Bachmann and Rick Perry parading their stupidity on the national stage for months on end it was hard to see how it could get worse. But it did, and 2016 has been so completely insane it is hard to know how to accurately describe what is going on in any meaningful way. The major Republican candidates this year were so far to the right that the word conservative isn&apos;t really applicable. The combination of religious nut job Ted Cruz&apos;s free market fundamentalism and Donald Trump&apos;s half-baked, fascistic vision of America made for a showdown devoid of all hope for the future of humanity. The major Republican candidates weren&apos;t advocating a smart, principled 21st century political philosophy, but an archaic form of authoritarianism the rest of the industrialized world has spent 80 years getting away from. In truth, this trend rightward has been going on for several decades, but the 2008 election marked a seismic shift toward utter, utter madness. So what exactly happened? While there are many competing theories as to why the Republican Party has gone completely off the rails in recent times -- and probably all of them partially correct -- one figure in the GOP can be held primarily responsible for its descent into intellectual and moral depravity. And that figure would be Sen. John McCain. 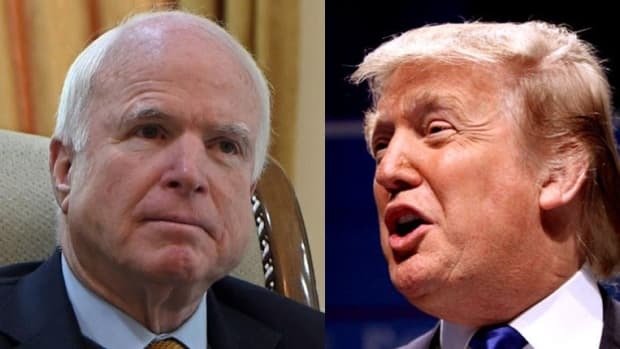 While this might seem a stretch to pin the emergence of Donald Trump on the actions of John McCain, when you look at the effect of his presidential candidacy in 2008, it becomes clear that his actions alone legitimized politicians like Michelle Bachmann, Herman Cain, and Donald Trump. Because if he hadn&apos;t foisted Sarah Palin upon the nation and gave the darkest elements of the American psyche validity on the national stage, there&apos;s a good chance we wouldn&apos;t be in the situation we are in now with the very future of the human species on the line. While there has always been a sizable minority of fundamentalist, conspiracy theory prone lunatics in American society, for the most part mainstream society has managed to marginalize them. But as soon as McCain decided that the only way to revitalize his ticket after the disastrous Bush years was to bring on a barely literate airhead who was more interested in using campaign donations to expand her wardrobe than run for office, every moron with a gun and a 4x4 started believing his opinion actually mattered. And as the feckless media continued their "both sides are equal" mantra, they started to. 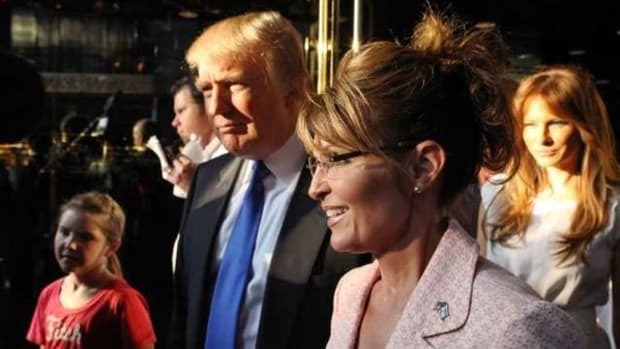 I see a straight line from the announcement of Sarah Palin as the vice-presidential nominee to what we see today in Donald Trump, the emergence of the Freedom Caucus, the tea party, and the shift in the center of gravity for the Republican Party. Whether that changes, I think, will depend in part on the outcome of this election, but it’s also going to depend on the degree of self-reflection inside the Republican Party. There have been at least a couple of other times that I’ve said confidently that the fever is going to have to break, but it just seems to get worse. 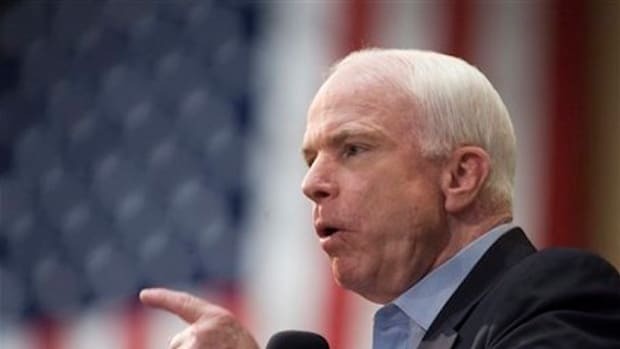 McCain made a decision [in picking Palin] that revealed many appalling things about him. In the end, his final concern is not national security. No one who cares about national security would pick as vice-president someone who knows nothing about it as his replacement. No one who cares about this country&apos;s safety would gamble the security of the world on a total unknown because she polled well with the Christianist base. No person who truly believed that the surge was integral to this country&apos;s national security would pick as his veep candidate a woman who, so far as we can tell anything, opposed it at the time. 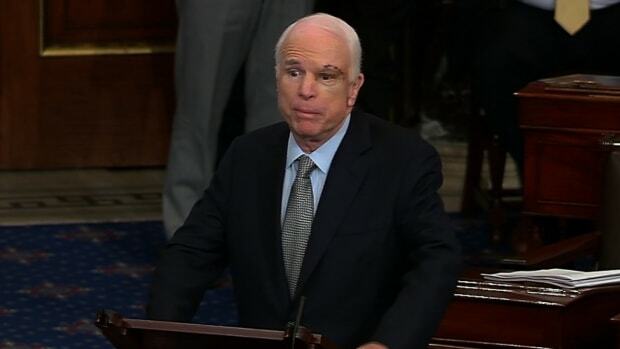 McCain has never apologized for this fatal mistake. 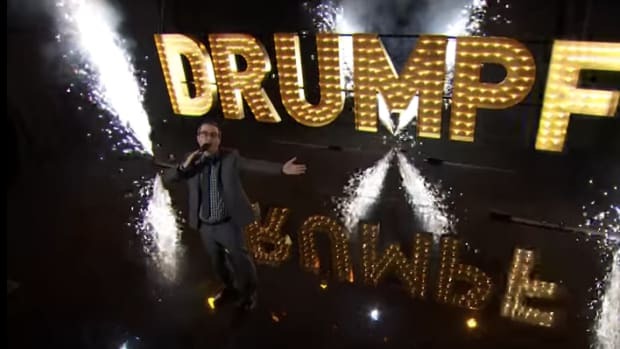 To the contrary, he hascontinued to enable it and has gone as far as endorsing Donald Trump -- a man who insulted him in the most appalling way imaginable. John McCain is proud of his moniker "Maverick" -- a nickname that would infer extreme independence and boldness. 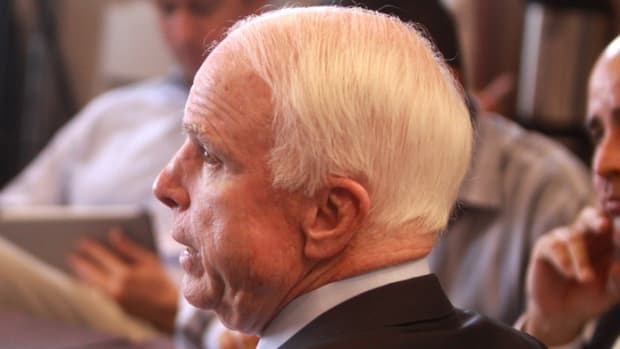 But McCain is no maverick, and his behavior in recent years betrays the rotting of his integrity. Because McCain is no longer independent and no longer bold. He is simply a hack politician who sold his soul for glory and refuses to take responsibility for the almighty mess he left his country in.